Texas Governor Rick Perry has been on an aggressive campaign including radio advertisements to get major businesses to relocate from liberally taxed states like California and New York. According to the Los Angeles times that effort has just payed off. 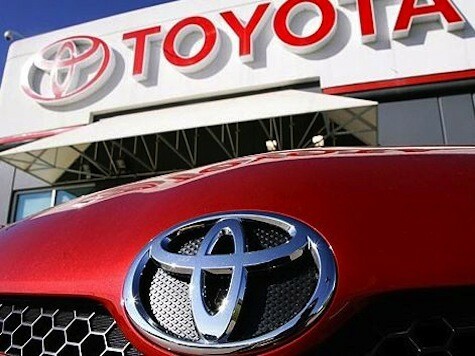 The Los Angeles Times Reports: Toyota Motor Corp. plans to move large numbers of jobs from its sales and marketing headquarters in Torrance to suburban Dallas, according to a person familiar with the automaker’s plans. The move, creating a new North American headquarters, would put management of Toyota’s U.S. business close to where it builds most cars for this market.North American Chief Executive Jim Lentz is expected to brief employees Monday, said the person, who was not authorized to speak publicly. Toyota declined to detail its plans. About 5,300 people work at Toyota’s Torrance complex. It is unclear how many workers will be asked to move to Texas. The move is expected to take several years. Toyota has long been a Southern California fixture. Its first U.S. office opened in a closed Rambler dealership in Hollywood in 1957.